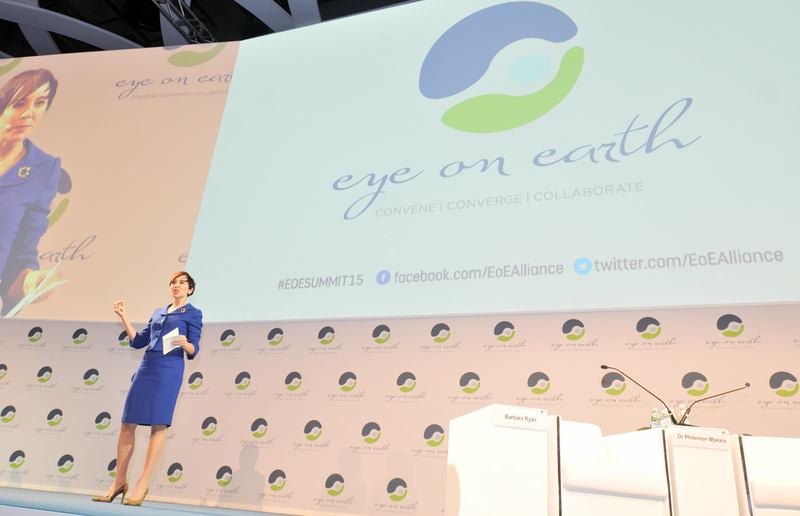 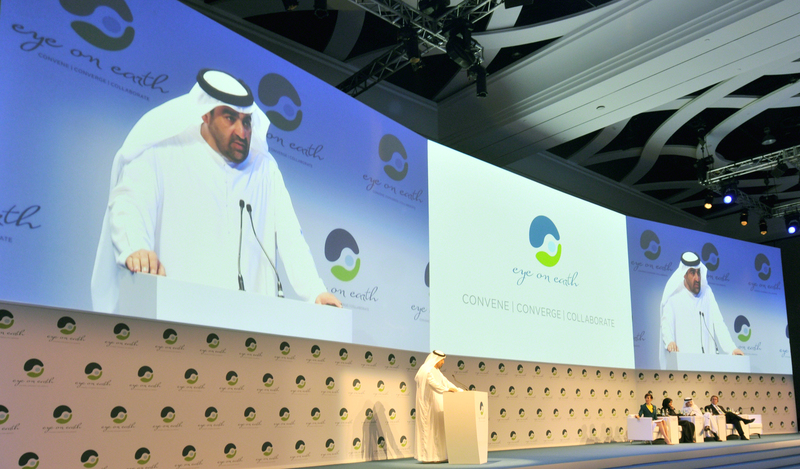 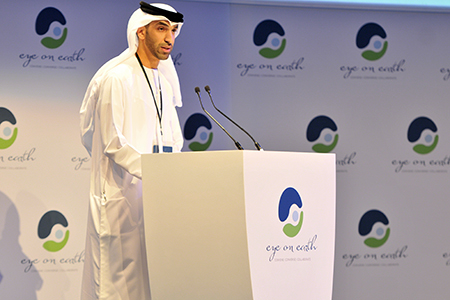 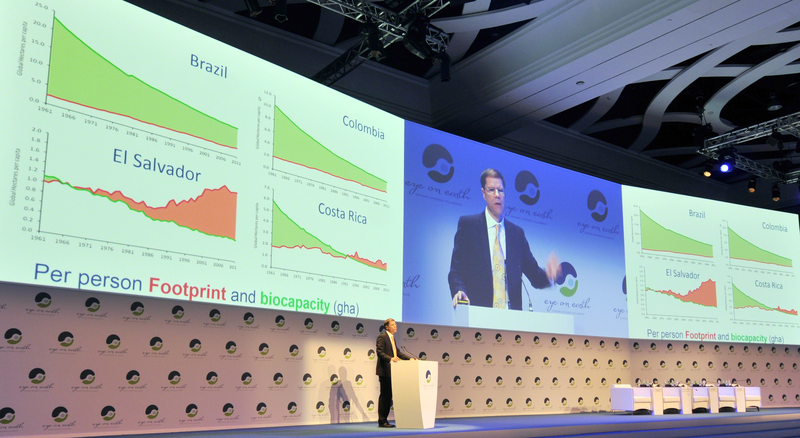 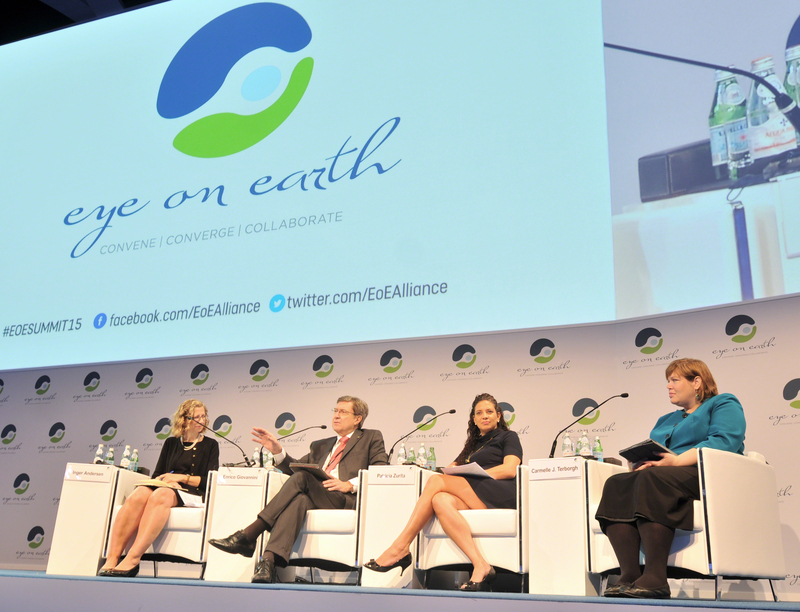 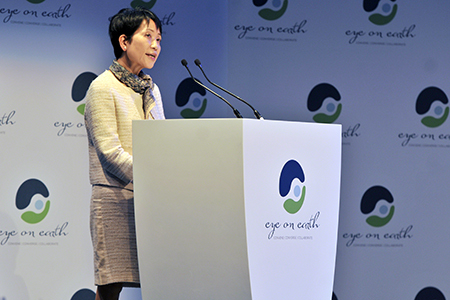 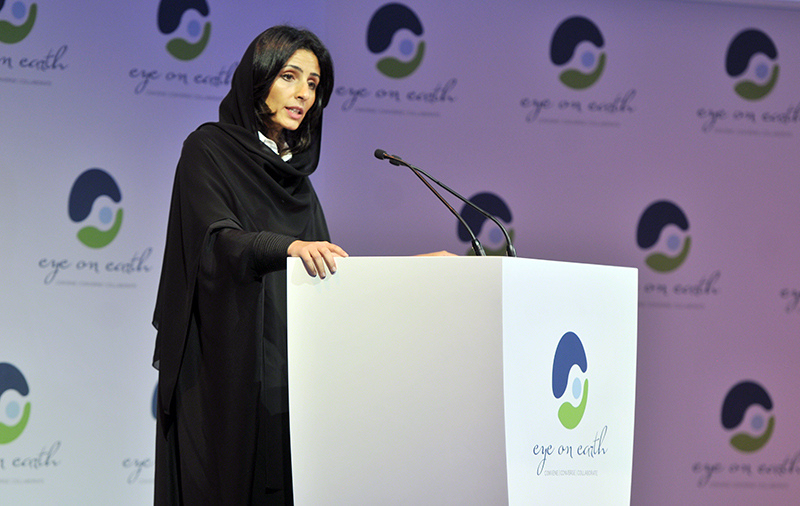 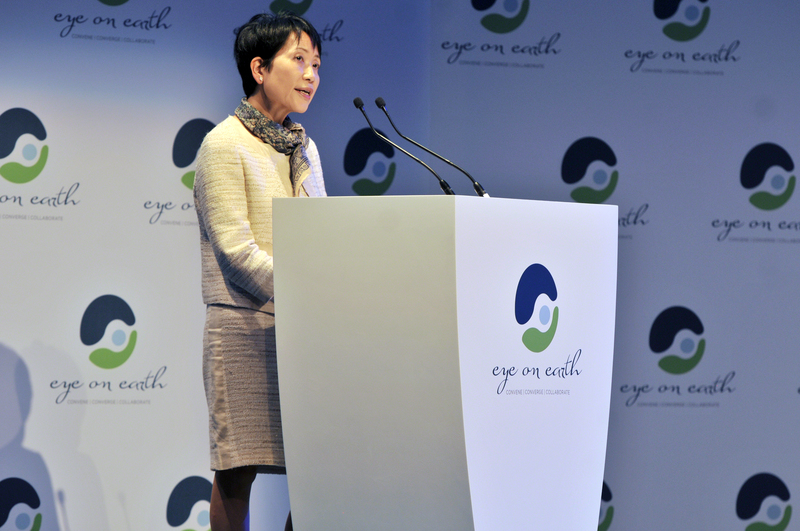 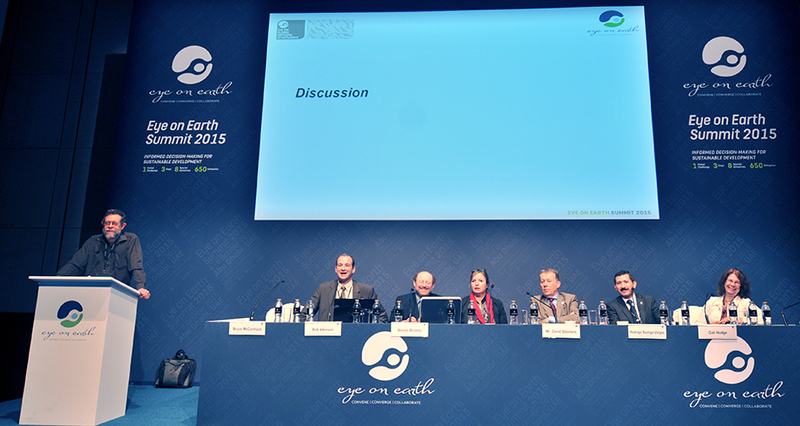 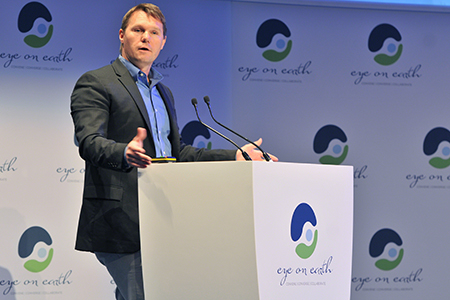 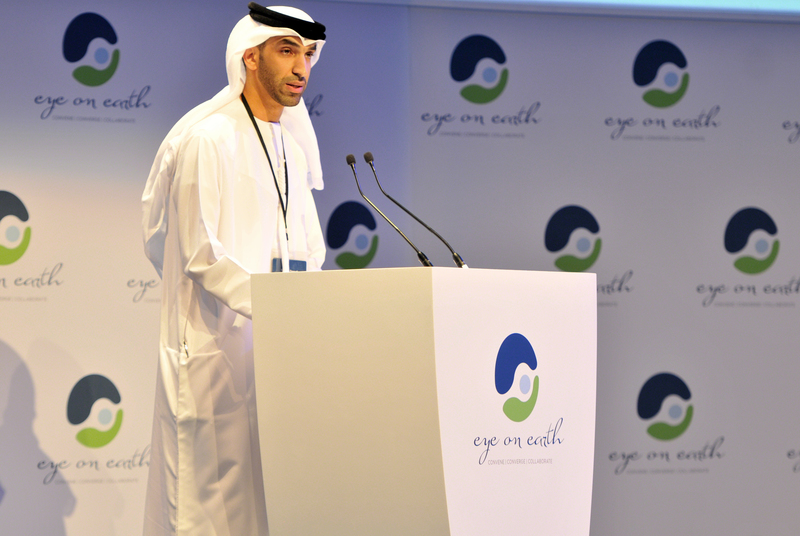 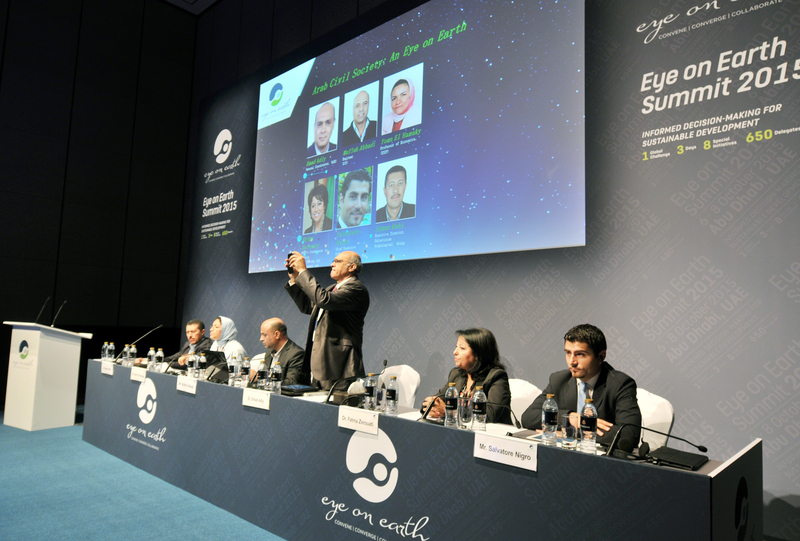 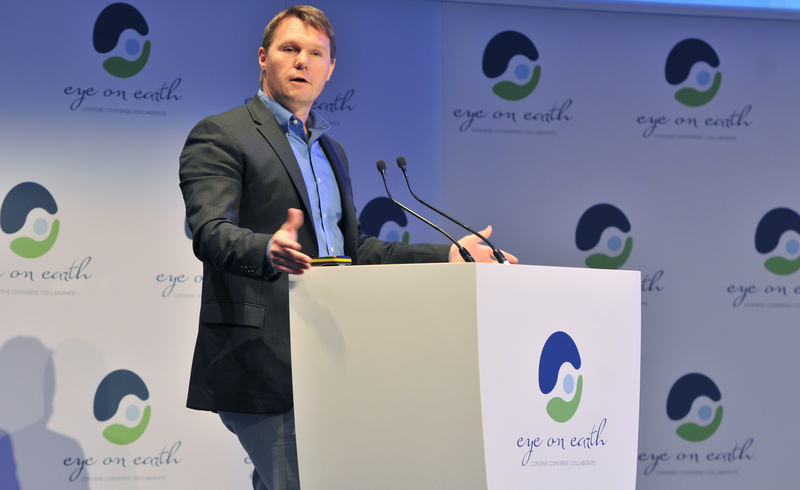 The 2015 Eye on Earth Summit began today in Abu Dhabi, United Arab Emirates (UAE), with an opening ceremony featuring keynote speeches from: Razan Khalifa Al Mubarak, Secretary-General of the Environment Agency, Abu Dhabi (EAD); Anwar Gargash, Minister of State for Foreign Affairs and Minister of State for Federal National Council Affairs, UAE; Achim Steiner, Executive Director, UN Environment Programme (UNEP); and Rashid Ahmed Mohammed Bin Fahad, Minister of Environment and Water, UAE. 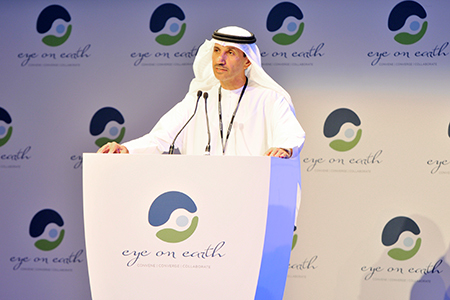 Following the opening ceremony, welcoming addresses were delivered to the plenary by: Mohammed Al Ahbabi, Director General of the UAE Space Agency; Thani Al Zeyoudi, Director of Energy and Climate Change, UAE Ministry of Foreign Affairs; Naoko Ishii, CEO and Chairperson, Global Environment Facility (GEF); Mathis Wackernagel, President, Global Footprint Network; Robbie Schingler, Co-Founder and President, Planet Labs; and Pierre-Yves Cousteau, Founder, Cousteau Divers. 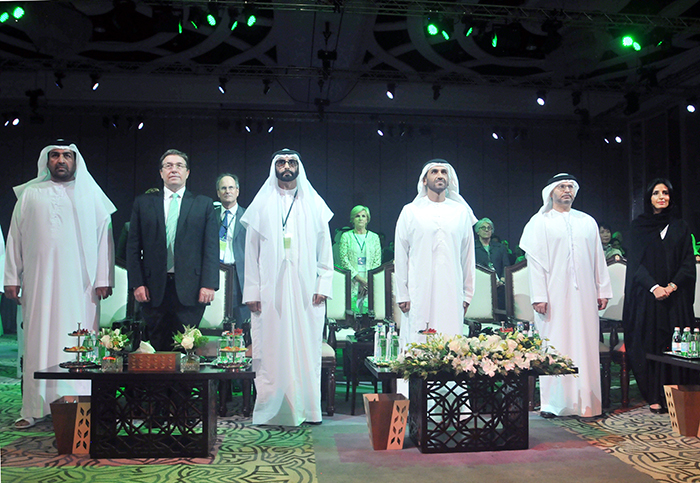 Seven sessions convened in the afternoon, focusing on data demand in areas such as policymaking, biodiversity monitoring, the Arab region, sustainable development, meeting donors’ information needs, health and business performance. 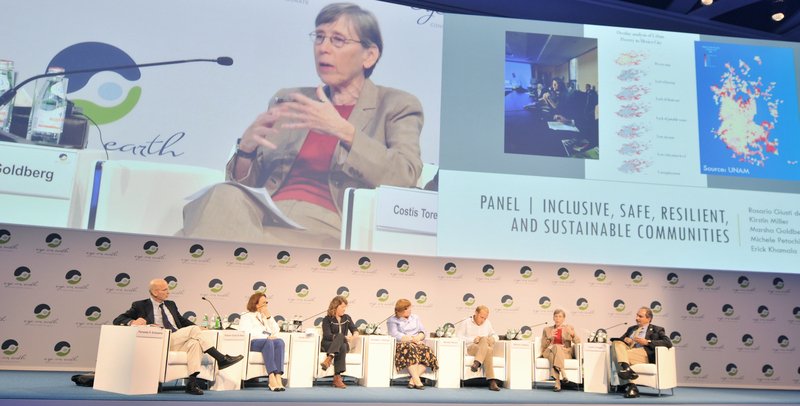 In the evening, UNEP launched the ‘Implementation Guide for the UNEP Bali Guidelines for the Development of National Legislation on Access to Information, Public Participation and Access to Justice in Environmental Matters.’ Launch events also highlighted the Africa Mountain Atlas and partnerships for conservation of migratory species in the Gulf. 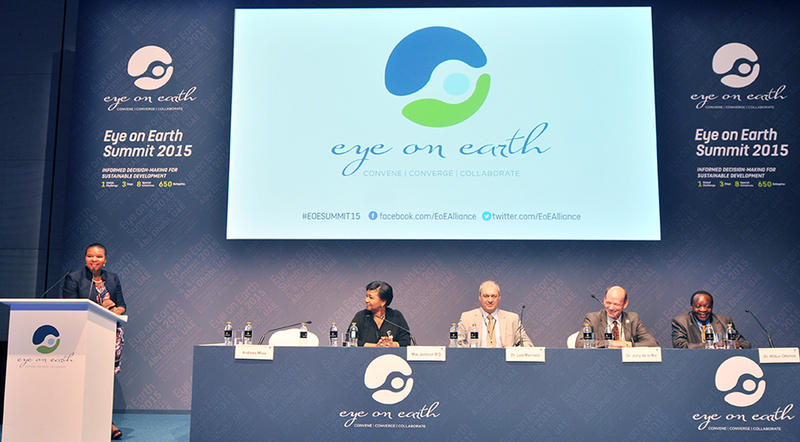 A number of side events were also held throughout the evening. 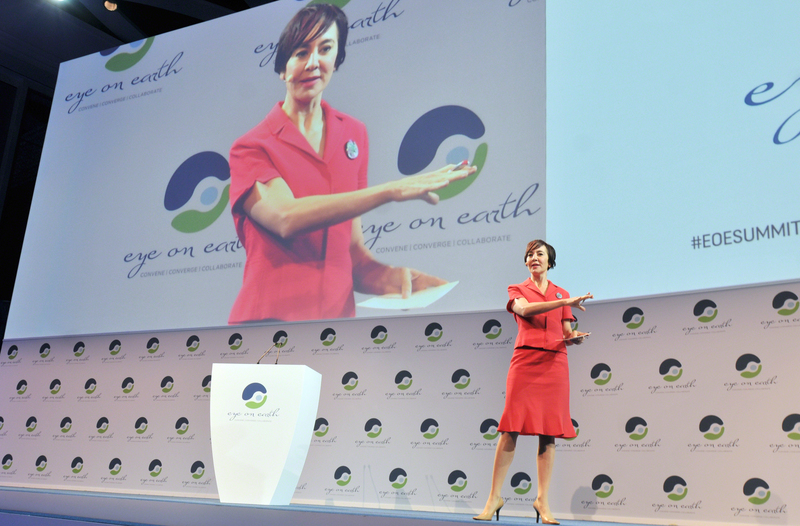 Following an evening reception, Jacqueline McClade, UNEP, presented a wrap-up of the Summit’s first day and announced the winner of the Data Visualization Challenge, Airscapes Singapore. 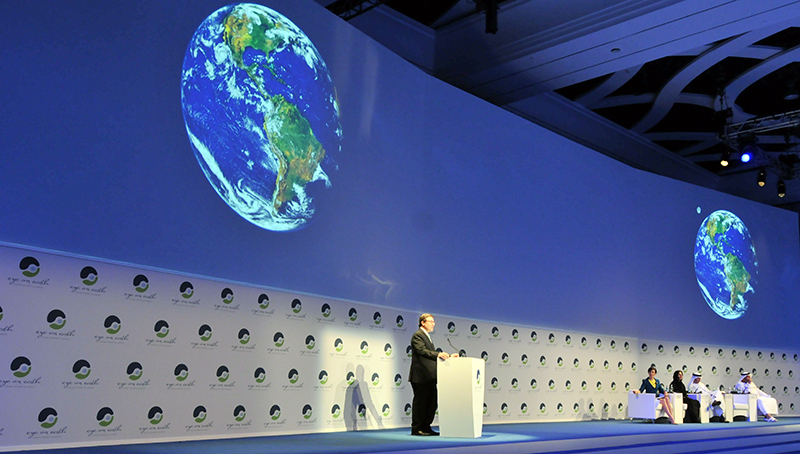 about his commitment to the protection and conservation of the environment. 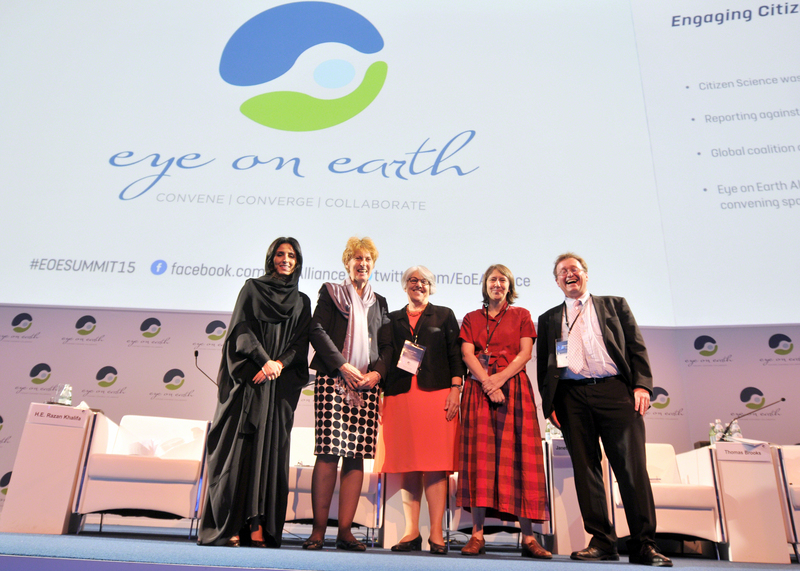 On Wednesday morning, Eye on Earth 2015 delegates convened in a plenary on data revolution-data supply side with remarks from: Barbara Ryan, Director, GEO; Philemon Mjwara, Department of Science and Technology, South Africa; Mary Glackin, The Weather Company; Muki Haklay, University College London; Christopher Tucker, MapStory Foundation; and Mae Jemison, 100 Year Starship. 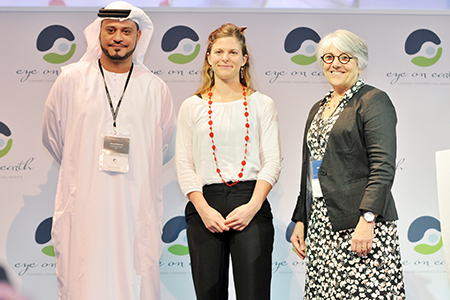 The winner of the blogging competition, Elizabeth Tyson, was also honored. 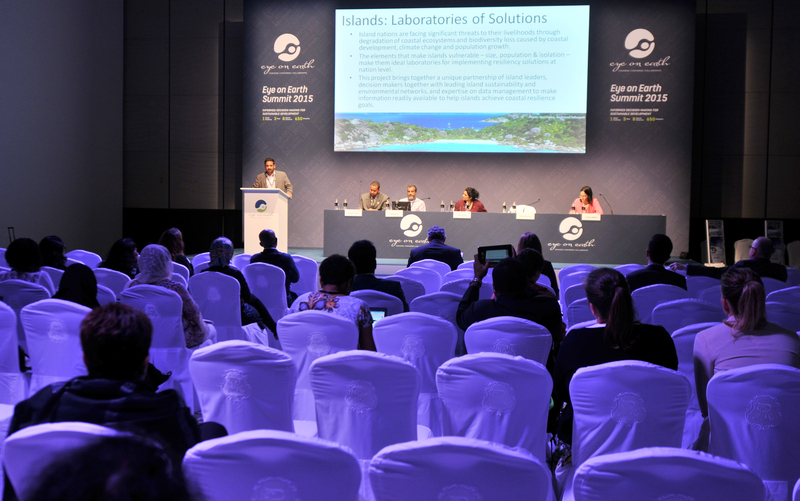 Fourteen sessions convened throughout the day, covering, in relation to data supply: the Global Network of Networks (GNON), small island developing States (SIDS), Arab civil society, sustainable development, urbanization, innovations, water security, oceans and blue carbon, costs of data generation and maintenance, Sustainable Development Goal (SDG) monitoring, citizen science, refugees and vulnerable populations, enabling conditions, and global frameworks. 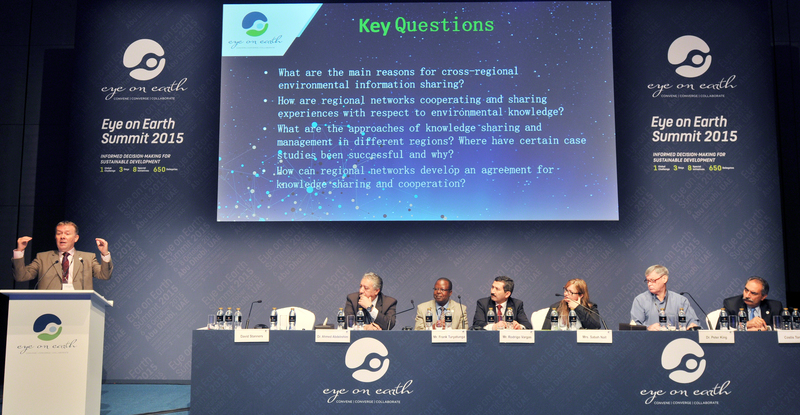 Side events during the day focused on, inter alia: the GNON concept; regional data in Europe, Africa, and the Americas; the Global Universities Partnership on Environment for Sustainability (GUPES); water in the Gulf States; and citizen scientists. 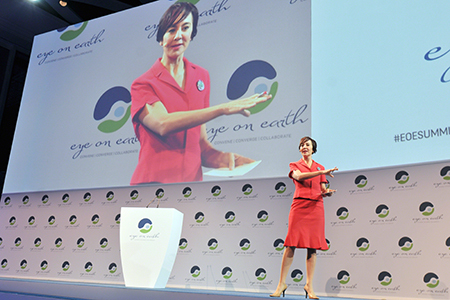 A number of launch events happened, including for MyUnea.org and the MAWARED Data Community Portal. 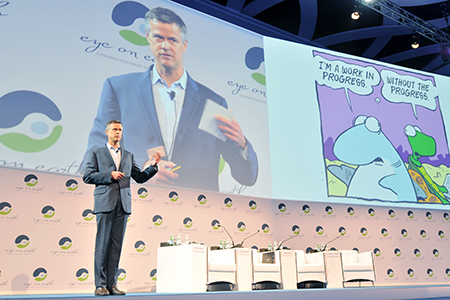 In the evening, a plenary on reaching audiences through innovations in visualization featured presentations from: Janet Ranganathan, WRI; Craig Mills, Vizzuality; Angela Lungati, Ushahidi; and Trista Patterson, GRID Arendal. 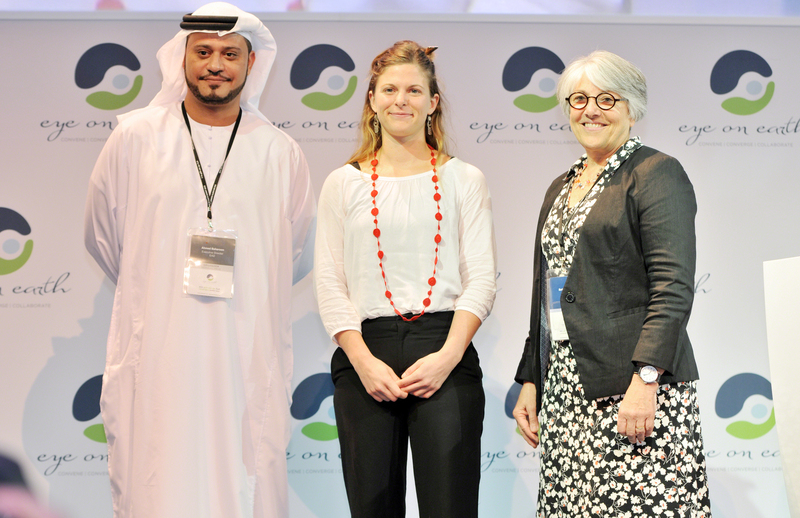 Jacqueline McGlade announced the winner of the Citizen Science Challenge, ‘Logging Roads!’. 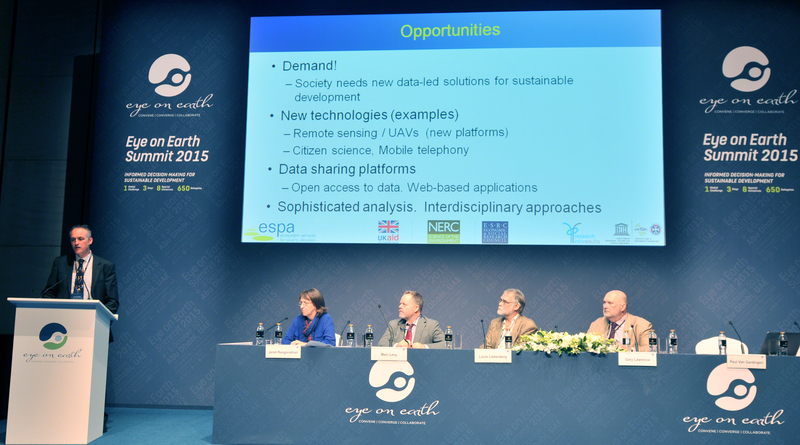 Barbara Ryan summarized day two and invited delegates to a networking reception. 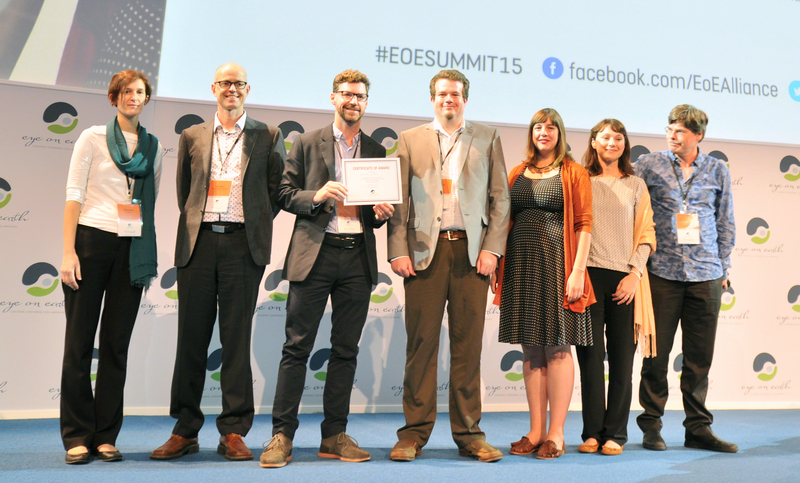 The three finalist teams of the Citizen Science Challenge pose for a photo at the end of Wednesday’s proceedings.